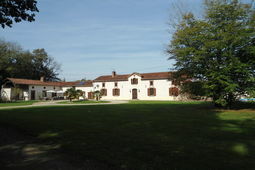 Self-catering Gîte with 7 bedrooms and 2 bathrooms. Sleeps 12. Saturday changeover. Self-catering Villa with 5 bedrooms and 5 bathrooms. Sleeps 10. Saturday changeover. Self-catering Village House with 5 bedrooms and 2 bathrooms. Sleeps 14. Non-applicable changeover. Self-catering Gîte with 3 bedrooms and 3 bathrooms. Sleeps 8. Saturday changeover. The Haute Pyrénées (department number 65) is one of eight departments located in the region of Midi-Pyrénées in south western France, with an estimated population of 222,368 (approximate in 1999). Tarbes is the capital of the department with the larger towns of Argelès-Gazost and Bagnères-de-Bigorre within the immediate area. The Hautes-Pyrénées is situated on the border between France and Spain and is centred on the peak of Mont Perdu. The landscape is predominately mountainous and agricultural comprising of villages, farms, fields, upland pastures and winding mountain roads. Dishes associated with the department include pot-roasted beef and lamb, civet of hare and wild goat. There is a wide range of fish from the mountain lakes and streams and cured hams and sausages. There are a variety of blue cheeses, Pyrenean mountain cheeses made from goat, ewe and cows' milk, and cabacou, a small soft cheese made from a mixture of the three. Breathtaking mountain summits and beautiful high lakes make Hautes-Pyrénées a perfect destination for a magnificent holiday. There are numerous natural sites to enjoy, including Gavarnie Cirque as well as the famous religious city of Lourdes. The climate in the region as a whole is a cross between Atlantic Maritime and Mediterranean. Early springs, long hot summers and short mild winters when it can be drizzly. Life in the mountain villages and farms of the Pyrenees has remained largely unchanged. Their southern climate means that it can be warm and sunny from as early as February. Roads are good and generally well sign-posted, although snow lies on the higher peaks until May and some of the highest passes may be closed. The Pyrenees are ideal for mountain biking and walking and there are white water rafting and rock-climbing centres. Downhill and cross-country skiing can be had in the Pyrenees in the winter months. The capital of this department is situated on the fringes of the National Park and has the breathtaking Pyrénées as a dramatic backdrop. There are not many historic monuments to boast about as the city was hit badly during a succession of wars; however, it still makes an interesting base from which to explore the area. The famous town of Lourdes is associated with pilgrims, apparitions and miracles and has developed into a major destination for tourists. Once a humble market town, it now is visited by around 5,000,000 pilgrims and tourists every year, ever since a little girl claimed to have experienced a vision of the Virgin Mary. Today, the town has the second largest number of hotel establishments in all of France (Paris being the first). Rising up from the rivers edge, Argelès-Gazost is a spa town and stands at the crossroads of the Lavedan valleys. For architectural gems neighbouring Saint-Savin is also worthy of a note for its twelfth century heavily fortified Romanesque abbey. There are 450km of mountain bike trails on the doorstep, of varying length and technical difficulty. There are also cycling routes for those who want to take things a little easier, including an eight mile flat marked cycle track running between Argelès and Lourdes. The area is a walker’s paradise with an endless selection of marked and unmarked routes waiting to be explored. Located just outside of Argelès-Gazost, this small family ski resort of Hautacam enjoys an amazing panoramic view. The winter sports station lies at a height of 1560 metres and has 26km of downhill slopes and 15km of cross country skiing as well as snow shoe tracks, dog sledding and prepared sledging pistes. This delightful spa town is almost equidistance from Lourdes and Tarbes and is located on the Adour River. Although one of the larger towns in the department it is less favoured than some of the other towns mentioned. None the less, it is still worth a visit and unlike other towns, can boast an observatory at its peak where stars and planets can be viewed. The journey is approx 1118km to Tarbes and will take around 10 hours depending on length of stops.